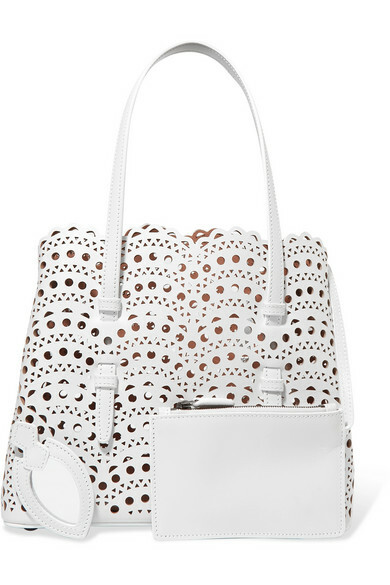 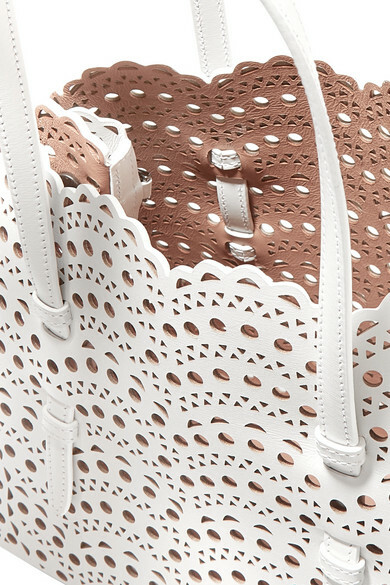 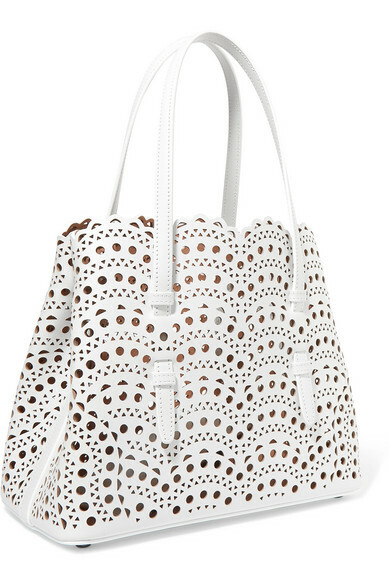 Alaïa's tote is laser-cut in the label's instantly recognizable 'Vienne' pattern. 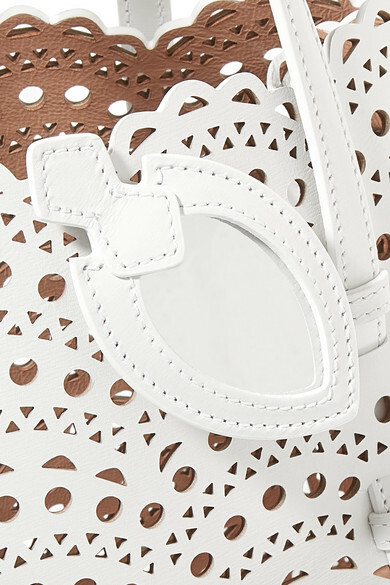 Crafted in Italy from smooth white leather, this small style is sized to fit your daily essentials and has protective feet along the base to keep it from getting scratched. 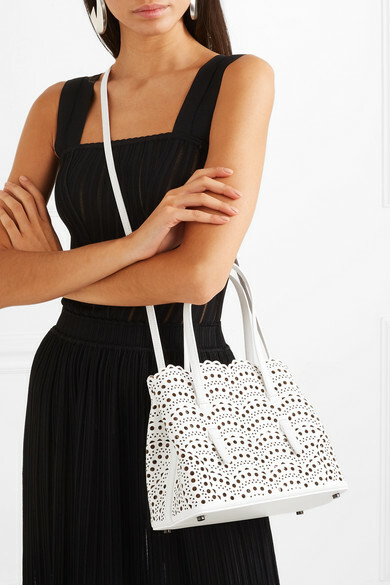 Attach the shoulder strap to carry it cross-body. 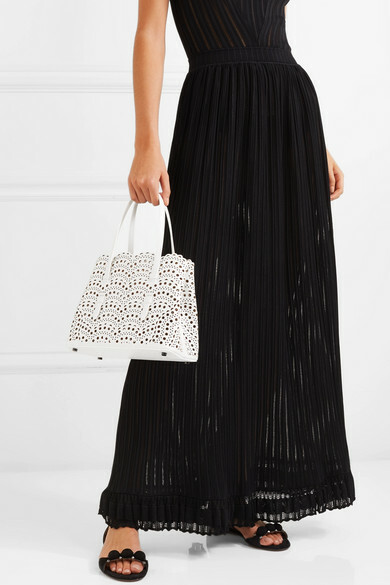 Shown here with: Alaïa Dress, Alaïa Sandals, Saint Laurent Earrings.